Kit includes 4.4oz bottle of black leather, applicator sponge and buffing cloth. 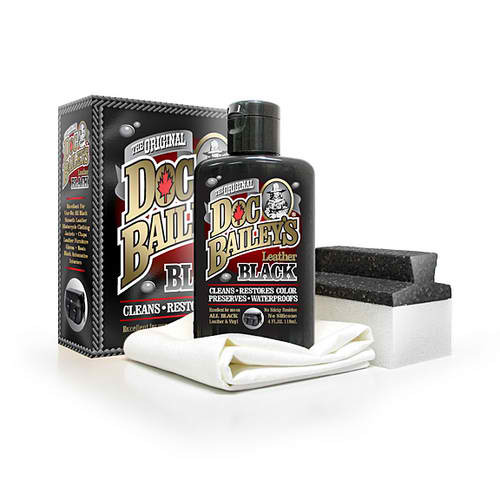 Doc Bailey's Leather Black cleans with a gentle detergent. Restores and preserves with a Lanolin Oil. Contains an actual dye pigment to restore color, then Doc Bailey's locks the color in with a blend of natural waxes that waterproof and prevent color bleed.